There's a new upgrade, Yes!, a fantasy could soon become a reality, this cloaking device features the four standard lenses that allows an object to appear invisible as the viewer moves several degrees away from the optimal viewing positions. There have been many high tech approaches to cloaking and the basic idea behind these is to take light and have it pass around something as if it isn’t there, often using high-tech or exotic materials,” said John Howell, a professor of physics at the University of Rochester. 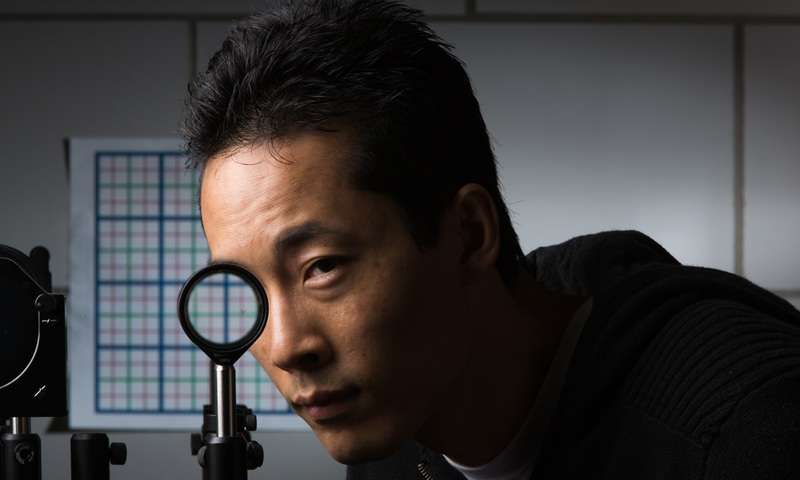 For the specialized components, Howell and graduate student Joseph Choi developed a combination of four standard lenses that keeps the object hidden as the viewer moves up to several degrees away from the optimal viewing position. This is the first device that can do three-dimensional cloaking, which works for transmitting rays in the visible spectrum. The projection of the background is also one of the things that the team hopes to improve, as it currently takes them a few minutes to scan, process, and update the image on the screen.Want to know more about this awesome device? Follow this Link!